Bette Frasier is more than just the owner of the Well Traveled Fork, and more than just a tour guide to High Desert area farms. She is greeted with hugs and toothy smiles from farmers, and she knows the names of family members, their pets and what everyone's been working on. "We're several generations removed from when everyone lived on a farm," Frasier said on a recent Saturday morning. In 1950, more than half of America's population lived on farms, but a half century later that number was less than percent—and that change has led to a variety of problems; everything from lack of knowledge about our food ecosystem to wasteful practices, problems that are particularly keen in a region like Central Oregon with its truncated growing season. To address these issues, as well as to support local famers, Frasier has designed a series of tours connecting consumers with people who grow and prepare their food, brew their beer and raise animals that eventually wind up on their plates. Fields Farm, a 10-acre plot east from Bend, is only one stop on the Frasier's Farm and Ranch Tour. Its owner, Jim Fields, said he started his Community Supported Agriculture (CSA) program about 25 years ago, at a time when CSAs were still a novel way to directly connect consumers to products from local farmers. The plot of land his farm occupies now was once surrounded by similar properties. Today, housing rings the farm, making Fields perched on his red Kubota tractor something of an anachronism. The intimacy he has with not just his land, but also his customers creates a unique sort of accountability. "The real value of this—and you can see it when you're eating this—you're eating what's in the soil," Fields said about properly maintaining his land and not fouling up food stuffs with pesticides. "By feeding the soil a complex mix of compost, they have more value." His efforts haven't just affected the way people eat and understand the fragile farming in the area, they serve to inspire others to give farming a shot. 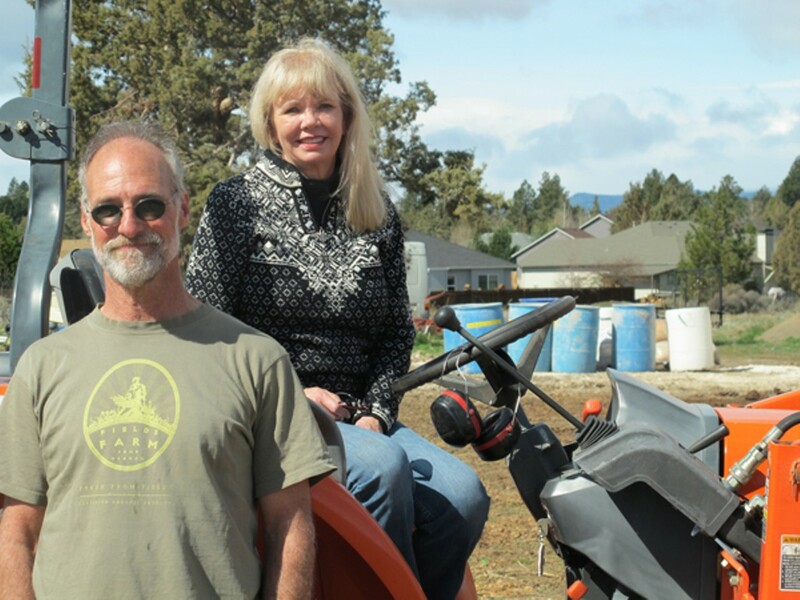 "Heidi was one of my CSA customers," Fields said of Heidi Moir, who now owns RedTail Farm in Bend, along with her husband Doug. "She had an interest in good food. So, she ended up buying a piece of property and pursuing her own interest." At RedTail—another stop on the tour—Moir has split her parcel of land along the Old Bend Highway into four acres for cattle, two acres for other animals and rotational grazing and another four acres to grow vegetables, herbs and flowers. Mountaintops sit off in the distance, as livestock graze and the farmers prepare for warmer weather. Moir said RedTail has space for more animals to graze but she's careful not to exploit the land. It wouldn't be beneficial to the soil or the animals' well-being. "There's no hurry to get them on the plate," she said about her cows, pigs, chickens and turkeys. "We owe it to them, if we raise them for food, to give them the best life possible." Her process, like the other farms on Frasier's tours, is free of antibiotics. But with those added nutritional benefits comes a higher cost to the consumer, contributing another challenge to the area's food sustainability issue. If people can't afford to eat well, dependence on cheap calories, fast food and pre-packaged meals that are shipped to the area will persist. Juniper Jungle, yet another stop on the farm tour, located near Bend's municipal airport, has been around for six years and utilizes a farming technique called biodynamics. 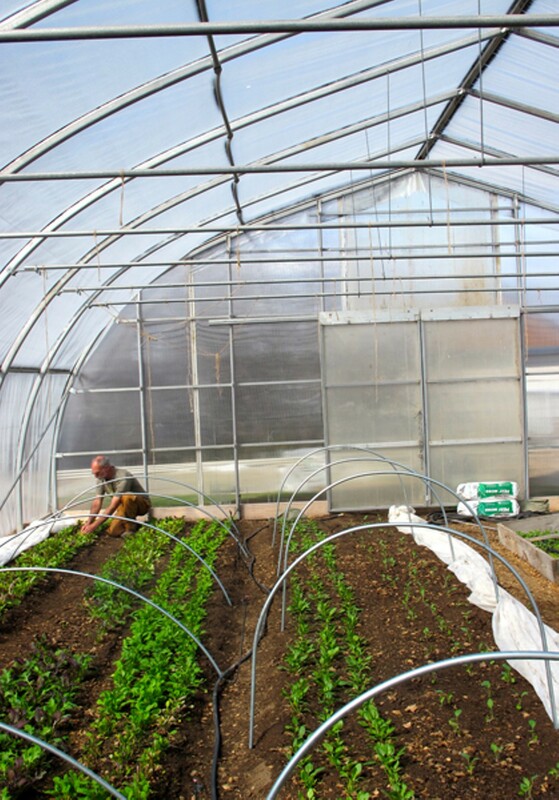 The farm's owner, Chris Casad, said the method he employs considers each part of the land as an interrelated organism. He still uses crop rotation, but incorporates a more observational-based perspective, he said. Casad uses bugs as pest control, attracting some with flowers, hoping that one species will control another. Each year, he anticipates up to a 10 percent loss of crops, because of the approach. But the work's result, in addition to cultivating a healthful crop, enables the soil to remain nutrient rich and ready for another planting season. Frasier realizes that cultivating CSAs and family farms, while bolstering the area's fragile food ecosystem, won't be an overnight process. 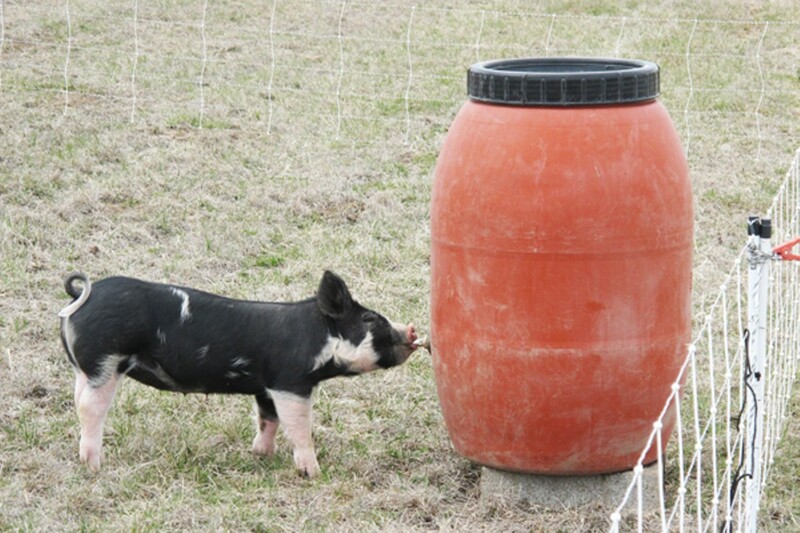 But she's steadfast in her beliefs and clearly enjoys showing people what can be accomplished on local farms. She's even readying a line of organic soups, hoping to take part in the Bend Farmers Market when it opens in June. "We vote with our fork," she said, or in the case of her soups, with our spoons.